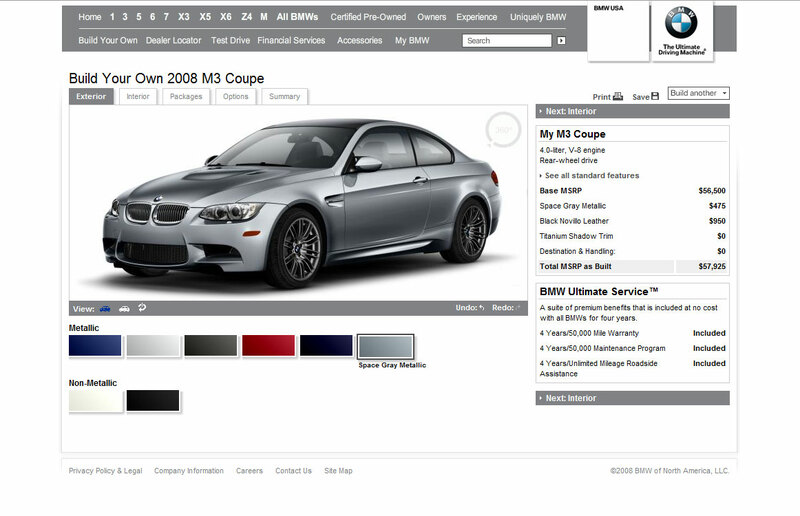 The BMW M3 online configurator is up on the North American version of the BMW site. 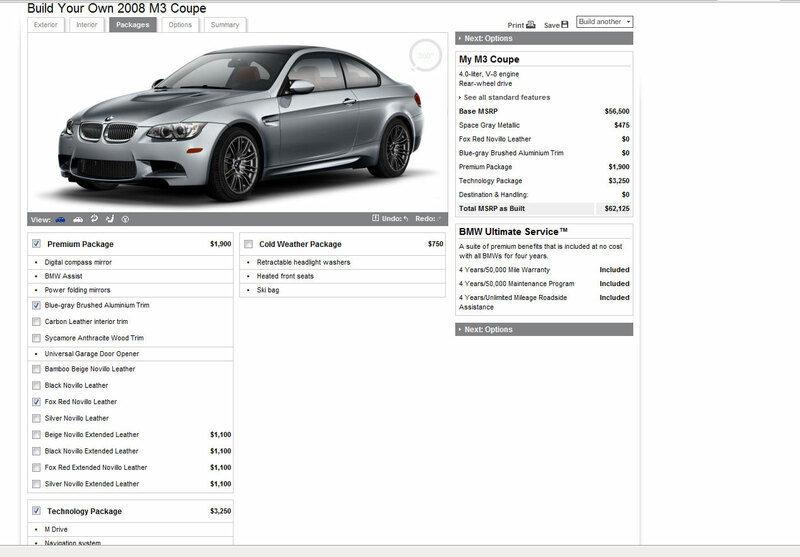 You have the option to build your own M3, either in the coupe or sedan version. 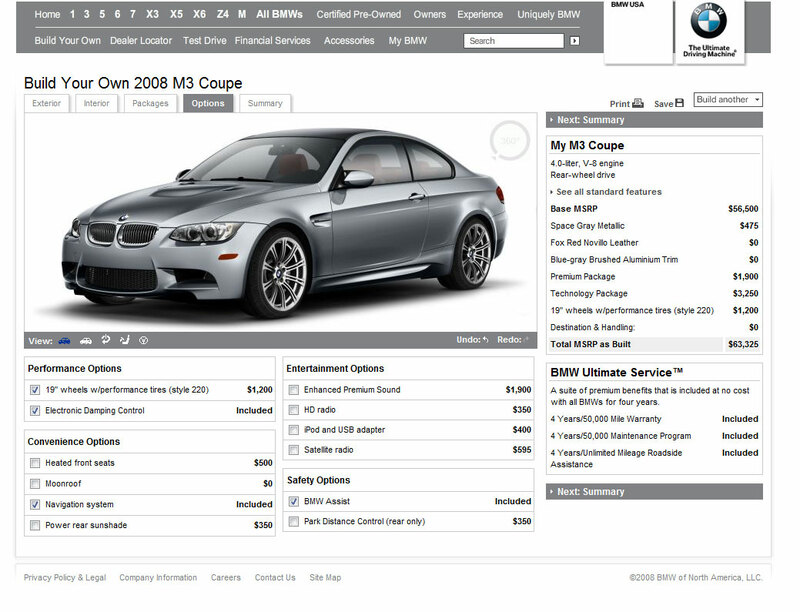 For the past few days, BMW was trying to adjust their online features so the configurator was on and off the site, but it seems to be available now at all time. If you would like to build the M3 coupe version, then follow this link and for those of you looking at the "family" version of the M3, the sedan, this link should take you there. We decided to build one for ourselves with all the options we thought it would suit our needs. Even though, I like the sedan body style, I still think the coupe has a sleeker, sexier look, so I've decided to go that route. 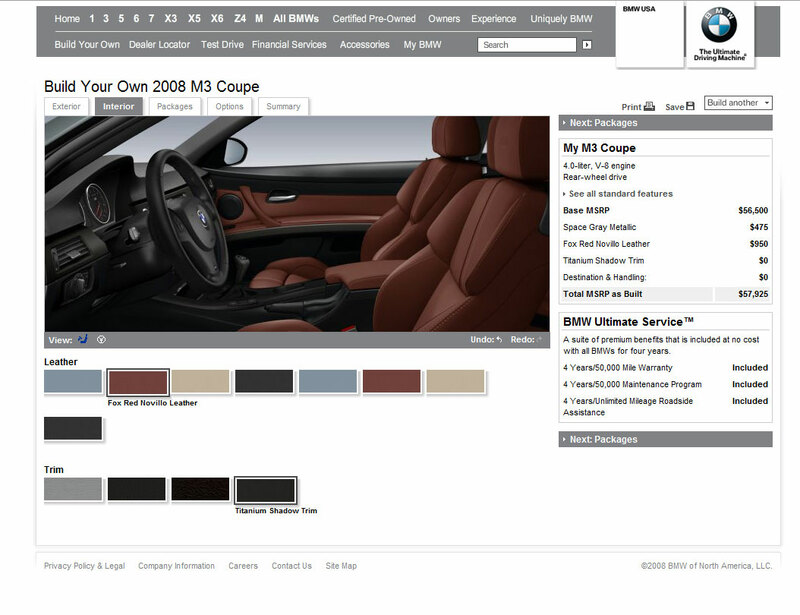 I have always owned a BMW with a beige or black interior, yes, I know, I'm very conservative, but this time, I fell in love immediately with the Fox Red Novillo leather. I think it matches perfectly the Carbon Leather Interior trim. The packages offered by BMW on the new M3's are quite expensive, but in our case, I decided that BMW Assist is a must along with the Power Folding Mirrors, so I had no choice other than ordering the Premium Package ($1900). We have also added the Technology Package($3250), but honestly, I'm not sure it's really worth the price tag. I like to keep it simple and honestly, I don't think I would never need a lot of options on my M3. The only thing that I would pay extra for, will be the 19" 220 style wheels. Not cheap at all, but in my opinion, the new 2008 BMW M3 is a masterpiece and it's worth every penny.